Newbie investors often have grandiose dreams of building huge investment portfolios and accumulating wealth at rapid speeds. The key to smart investing is to be establish realistic goals. You don't want your vision to be overwhelmingly broad, yet pitifully narrow. Ideally, you want to think about your first real estate investment purchase as being the canvas on which you will learn your business. Be prepare to experience problems and form creative solutions to circumstances you have never before encountered, thus maintaining realistic expectations regarding your first investment property. Mistakes will be made and you might only break even or possible even lose a little cash your first time around. The key is to surround yourself with experienced peers who are willing to offer valuable advice from their own experiences. Don't be hardheaded! Learn from those who have gone before you! Your finances will likely influence the manner in which you invest. For example, purchasing a 25-unit apartment complex right out of the gate is not likely to be your first investment experience unless you are partnering with a seasoned investor. Turnkey properties requiring minimal dollars and minor improvements will be the way to go for a beginning investor. Remember: you are just starting out and you need to get some experience under your belt when it comes to taking on larger projects. Over time, you will find yourself establishing relationships with other investors, contractors and additional professionals who know the business and who will be equipped to help you take on larger projects. Don't seek to overachieve right off the bat. 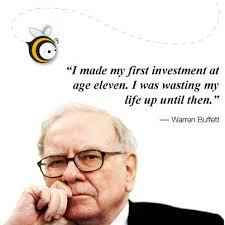 Smart investing takes time. Start small and research exactly what you'd like to purchase, where, the highest possible amount of money you could spend, the skills and processes that will be necessary for achieving this goal and research, research, research! Be specific about what you wish to accomplish. Be specific about a realistic timeline and be specific about your budget. List specific liabilities and move forward with your plan. Be sure your vision matches your strategy and that you have an action plan which supports both. While your goals and vision might be right on, your strategy might be your undoing. Know what you want and how to get it! Keep your expectations in check, be honest with yourself, zero in on an achievable target, consult experts and align your strategy and vision and you will be an unstoppable force! Related: "6 Tips Re: Capital Gains"